Will Surveillance Cameras Decrease the Risk of Nursing Home Abuse and Neglect? When it comes to nursing homes, several difficult decisions must be made. Deciding when to move a loved one into a nursing home is a strenuous process, we all want the best for our family and need to consider several things when it comes to finding the right home. Unfortunately, one important area that needs to be considered when finding the right home is nursing home abuse and neglect. Sadly, it is much more common than we think. Several homes across the U.S. are deciding if they want cameras placed in all rooms of nursing homes, hoping to prevent any abuse or neglect. After reviewing the case, attorneys and the public have stated this kind of behavior can be found at several nursing homes across the U.S., supporting the idea that all homes need to have surveillance cameras in order to keep their patients safe. Many cases of nursing home abuse and neglect go un-reported, leaving patients at risk for further abuse. Signs of abuse and neglect can vary among each patient differently; if you have a loved one in a nursing home, make sure to be aware of any signs or symptoms they may have that reflect abuse or neglect. To read about the obvious and less obvious signs of abuse or neglect click here. An anticoagulant drug proves to be fatal with out proper monitoring of the medication. Coumadin, also known as Warfarin, is a blood thinning prescription used in patients to prevent blood clots, heart attack and stroke. Coumadin is mostly prescribed to patients with an artificial heart valve, atrial fibrillation (an irregular heart beat), deep venous thrombosis (blood clots in the deep veins), and pulmonary embolism (blood clots in the veins). However, when the drug is not properly monitored it can lead to devastating results. Coumadin, similar to other drugs, must be carefully monitored almost everyday during a patients first month on the drug. Since the drug is a blood thinner, doctors must be extremely cautious in watching how thin the blood gets. When blood becomes too thin, it could eventually cause a patient to bleed to death, whether or not they have open wounds. If the blood does not thin, a patient could suffer from blood clots, possibly leading to a heart attack, stroke or even death. Once blood clots have formed, there is very little doctors can do in order to stop them, which is why patients taking Coumadin need to be carefully monitored. During a patients first month on the drug, every day they should undergo either a prothrombin time (PT) test or an international normalized ratio (INR) test. Both tests are blood tests that measure how long it takes for the patient’s blood to clot. The tests also check for bleeding problems and determine how well the blood thinning medicine is working. The only difference between the tests is the INR test is a way of standardizing the results of the PT tests, allowing doctors to understand results even if they come from different testing methods or different labs. The PT and INR tests are crucial for doctors, nurses, hospitals, nursing homes and care providers to maintain in order to monitor the safety and effectiveness of the medicine. As all medicines do, Coumadin affects each patient differently. Age and health backgrounds may alter the performance and side effects of the drug for each person. Those responsible for the testing, whether it is the primary care doctor, hospital or nursing home, should know the risks and warnings that come with the drug. Deciding when to move a loved one into a nursing home is a difficult decision. We all want the best for our family, and need to consider several things when it comes to picking the right home. Unfortunately, nursing home abuse and neglect is more common than we think. Every year numerous nursing home abuse or neglect cases go unreported. In February of 2009, a report done by CBS News came out that showed in just two years, 1999 – 2001, “5,283 — over 30 percent — of the nursing homes in the U.S. were cited for an abuse violation. Over 2,500 of the violations were serious enough to cause actual harm or to place residents in immediate jeopardy of death or serious injury.” (read full story) At Borchardt Law Firm we wish that no family has to ever experience nursing home abuse or neglect, help prevent abuse or neglect by knowing the warning signs that you can look for when you’re loved one is in a home. Searching for the right nursing home for your loved one? Don’t let nursing home abuse or negligence occur. Take a look at the top 10 most recommended nursing homes across Texas. Based on research from the U.S. News, each home is rated by health inspections, nursing staff and quality measures. 1. Afv I Health Care Center – San Antonio, Texas. 2. Kerens Care Center – Kerens, Texas. 3. Wesley Court Methodist Retirement Community – Abilene, Texas. 4. Anderson Nursing Center – Grand Saline, Texas. 5. Brownwood Regional Medical Center – Brownwood, Texas. 6. CC Young Memorial Home – Dallas, Texas. 7. Christus Spohn Hospital Corpus Christi – Corpus Christi, Texas. 8. Country Village Care – Angleton, Texas. 9. Emeritus At Spicewood Springs – Austin, Texas. 10. Goodall Witcher Nursing Facility – Clifton, Texas. To read each individual review and ratings please visit the U.S. News Homepage. Choosing a nursing home for your loved one can be a very difficult process. Unfortunately, nursing home abuse and negligence cases are much more common than the public is aware of. According to CBS News, in 2009 a congressional report stated that nearly one-third of all U.S. nursing homes have been cited for abuse. If you think your loved one has been or is being abused in a nursing home, don’t hesitate to contact a nursing home negligence lawyer. At Borchardt Law Firm, we strive to help families who have been victims of nursing home abuse or neglect. When abuse is suspected our firm recommends families to immediately become in contact with the Texas Department of Aging and Disability Services (DADS). “The Texas Department of Aging and Disability Services was created to administer long-term services and support for people who are aging and who have cognitive and physical disabilities. The department also licenses and regulates providers of these services, and administers the state’s guardianship program. They began formal operations on Sept. 1, 2004.”(DADS website) The department endeavors to keep elders safe. 1. By contacting the Texas Department of Aging and Disablity Services victims are able to file a complaint by calling their hotline at 1-800-458-9858. The complaints are anonymous and all of the names (including the name of your loved one) will be redacted from the report. DADS, the state agency, track these reports by a control number. Be sure to explain to the state all of your issues, and to get the control number. This will allow you to get a copy of the report once it is finished. Retaliation by a nursing home for making a complaint is illegal so you shouldn’t hesitate to file a complaint. 2. Move your loved one to another facility that is feasible. Don’t wait to make the move, you don’t want matters to worsen. 3. After you have filed your complaint and moved your loved one to a new home, contact an experienced lawyer who handles nursing home negligence cases. 1. 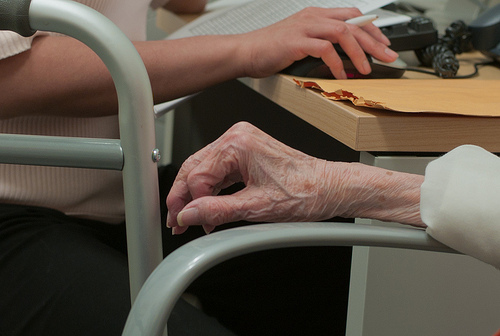 Meet with potential lawyers to handle your nursing home negligence case. 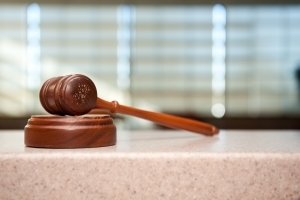 At Borchardt Law Firm, all of our initial consultations are free of charge. b. Ask the lawyer and/or law firm about their trial experience in handling nursing home negligence cases. You want to hire a lawyer who takes and has taken these types of cases to trial. c.	Ask the lawyer and/or law firm about their staff’s experience. At Borchardt Law Firm, we have a full time nurse on staff who can quickly read and review medical records to determine if a case has a merit. 2. Don’t be afraid to meet with more than one lawyer. 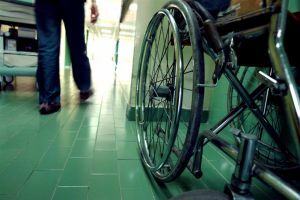 Going through a nursing home negligence case is difficult, and you want to know that you have selected a lawyer who you feel comfortable with and can trust. 3. Remember, any lawyer who makes representations about the value of your case is probably not the lawyer you want to hire. 4. If you are a lawyer reading this blog and have a Texas nursing home case, please contact Borchardt Law Firm. Within the parameters of Texas law, we are happy to assist other lawyers with nursing home cases. Picking a nursing home for your loved ones can be a very challenging process. Sometimes you may think, “I need a nursing home lawyer.” Our firm, Borchardt Law Firm, offers these suggestions in the hopes of avoiding nursing home abuse or neglect. Sadly, we have seen and dealt with many cases involving nursing home neglect and abuse. We want to help out in any way we can to avoid these outlaws. Of course, these steps will not guarantee a good outcome. Our first recommendation is to visit the state website to compare facilities that you are considering. The Texas Department of Aging and Disability (DADS) is responsible for licensing and overseeing long term care nursing facilities. The department inspects the facilities and issue reports commonly known as “state reports” or “inspection reports.” DADS maintains a comparison of all facilities licensed in Texas. The DADS website is a great place to start your search for an acceptable nursing home. After visiting the DADS website and completing your research we recommend you always visit the facility before making a decision. Finding the right nursing home may take time, be certain that both you and your loved one feel comfortable about the decision. Here are a few recommendations we suggest while visiting the facility. 1. Take your time to see if the facility is clean and acceptable. 2. Ask the facility to review their last inspection report or state report. 3. Take a look at their food menu and taste the food. 4. Look around to determine whether there are enough people, nurses and nurse aides to care for the residents. After visiting the facility, get to know the staff and which physician will be responsible for your loved one. Many times, your family physician(s) will not be responsible for the care of your loved one at a nursing home, so be sure to meet and get to know your new physician and nurses. You can then do a preliminary background check on that physician by going to the Texas Board of Medical Examiners website.